This Sunday, we hosted an awards night and BBQ for our customers.The night was about giving back to our clients and recognising their determination and progression through the healing process. 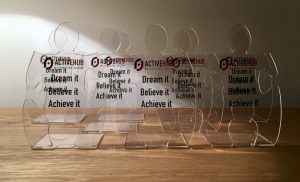 We would like to further congratulate everyone who received one of our jigsaw awards at the event and the team at the ActiveHub would like to thank everyone who attended. Its also important that I mension that we raised over £200 towards two childrens charities for one of our therapists, Lauren, who is on a mission to help ill children with a better quality of life. So thank you all who helped raise this money which will directly benefit the children and their families. It really means a lot to us. 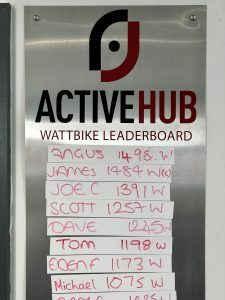 We also took this opportunity to launch our Wattbike challenge with 22 people taking the 6 second test and gaining a spot on the leaderboard. It was an out and out stand off between all who took part to try and achieve the highest watt reading with the current score to beat set at 1498w. This is an on going challenge which is open to all our clients whenever they want to give it a go. We’re active in many areas here at Function Jigsaw. We not only offer sports therapy treatments from budding to elite athletes. We also have our own range of physiotherapy in the form of our ActiveKit. We also employ our specialist knowledge to commercial applications through our award winning Fit For Industry program. None of this is possible without the support from our clients and our partners. So from all the team at Function Jigsaw. Thank you.